The company is also a world leader in innovation as it has filed more than 91,539 patents to improve its customers' lives. Moreover, Panasonic is determined to remain at the forefront of its market. In all, the company has produced more than 200 million compressors and its products are manufactured in 294 plants which are located all over the world. 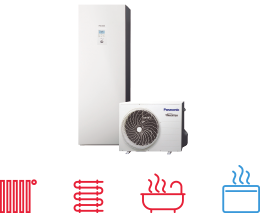 You can be assured of the extremely high quality of Panasonic's heat pumps. 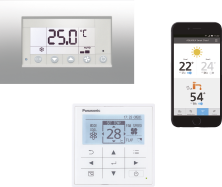 This wish to excel has made Panasonic the international leader in heating and turn-key air conditioning solutions for homes, medium-sized buildings such as offices and restaurants, and large-scale buildings. 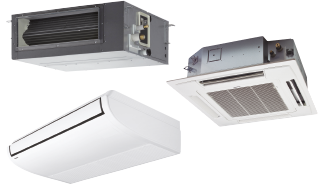 These offer maximum effectiveness, comply with the strictest environmental standards and meet the most avant-garde construction requirements of our time. 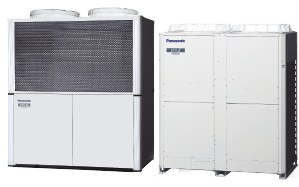 At Panasonic we know what a great responsibility it is to install heating and cooling systems. 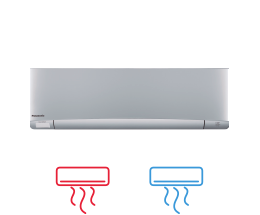 Because offering you the best solutions in heating and cooling matters.